Cash for Junk Car Removal in Newcastle – We Pay TOP DOLLAR Up To $ 7000 For Unwanted Junk Car Removal in All Newcastle Suburbs! 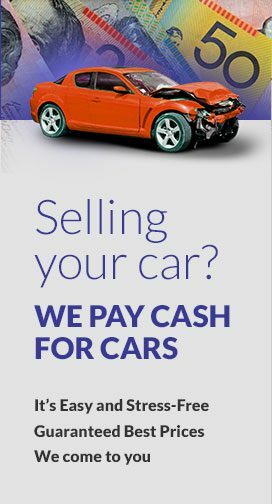 If you’re frantically searching for a car buyer of your old unwanted car then you’ve come to the right place! We at Origin Cash For Cars are in this junk car removal business since 1990 and have thousands of satisfied customers. Our team of experts can easily take care of your old, rusted, junk and unwanted car or trucks and can pay you $8999 right at your door. It has so many issues and you’re not interested in passing into someone else. There’s a specific set of criteria on the basis of which the value of your vehicle is evaluated. Once you’ve provided the information our team needs over phone, our team will simply verify this information once when we come to pick your old, rusted car from your house or office. Once you accept our offer, we will immediately schedule an appointment for same day removal of your car or any other vehicle. When we dispatch tow truck for junk car removal, it will happen more often than not within a few hours. We will complete the paperwork and offer you money on the spot. We welcome vehicles in any possible condition and you can also inform us if our junk vehicle cannot be towed with the help of conventional towing truck and needs express assistance of our wrecking crew. If you own multiple cars that need quick auto removal, that’s not at all a problem either. All you need to do is to inform us how many you have,a and want to sell them to us,so that we can quickly include their value in our quotation which we will offer you. Why Call Us For Unwanted Junk Car Removal? We are the biggest and busiest junk car removal service that offers same day removal, free towing and TOP DOLLAR quote online or over phone. Our staff is knowledgeable and our appraisers know their work and we also serve all Newcastle suburbs. We never let our customers down and offer honest, fast and free quotes with their preferred pick up time. We never haggle over price and will always pay you the promised amount in cash. Some junk car removal companies in Australia have tons of hidden gotchas. Even little fees can add up and can make your junk car removal much less profitable. We don’t do that. We have no fees, no administration fee and no towing fee. We are just interested in purchasing your old, rusted car for a decent price with no fuss. We always pay our customers the promised cash right at their door and can even buy fleet of commercial vehicles. Does Your Company Need Any Registration Or Title? Having a title for junk car removal is preferred but is definitely not a requirement. We accept other proof of ownership as well. You can ask our friendly staff on the other necessary documents we usually accept. They will help you guide you in this over phone. We offer you 100% peace of mind. Out highly trained staff is fully equipped to reach your place and can handle everything. We are bonded, licensed, and insured. With us, there’s absolutely no pressure on you. Once you accept our FREE no-obligation quote, we will reach your place at on promised time and pay you the cash after completing the necessary paperwork. We never haggle over the agreed junk car removal price and there are no surprises when you deal with us. We always pay you the most genuine highest price for unwanted junk car removal. We are also a eco-friendly green old unwanted junk car removal company that cares for environment. Contact Us at: 0469 960 277 for a FREE Junk car removal quote. You can also request an online quote.